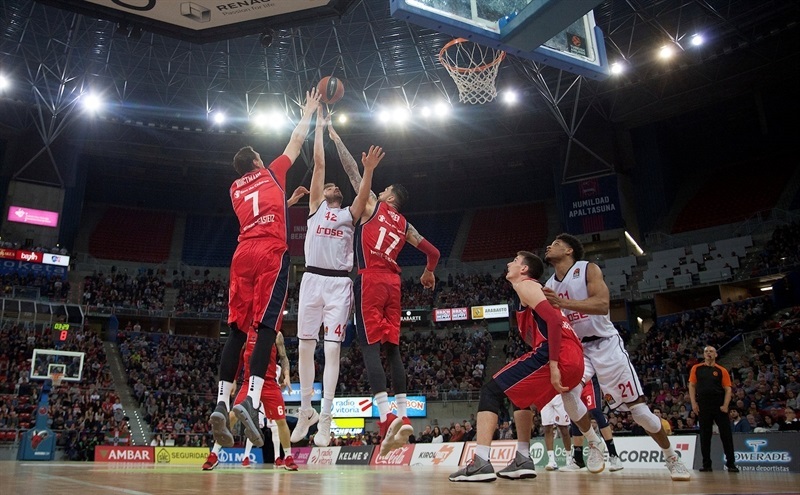 Baskonia Vitoria Gasteiz continued its playoff push with its fourth straight win, a 103-79 rout of visiting Brose Bamberg, on Wednesday night at Fernando Buesa Arena. 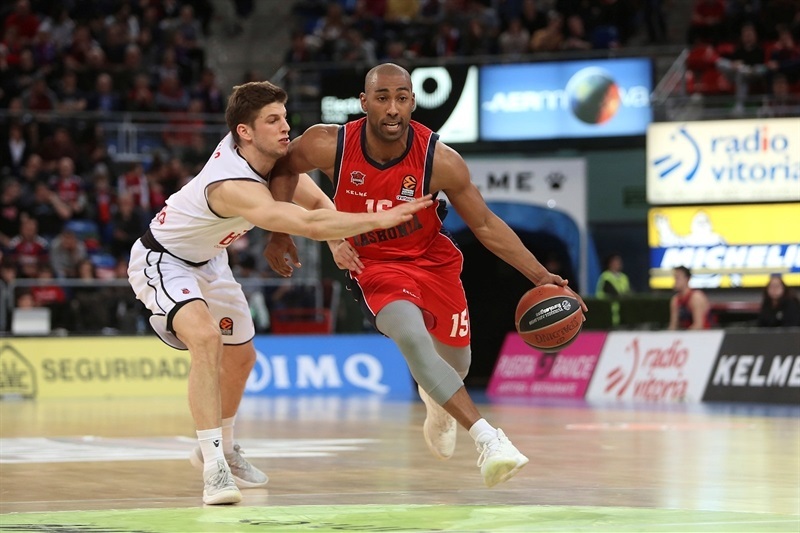 Baskonia improved to 14-13 and for the first time this season moved into sole possession of eighth place in the standings, while Brose dropped to 10-17 and was mathematically eliminated from playoff contention. 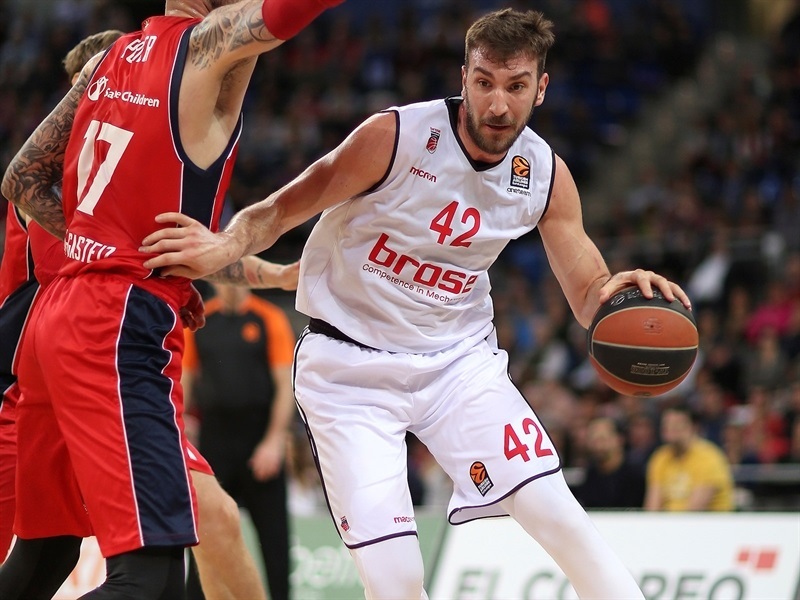 Baskonia led from start to finish, establishing a double-digit deficit after only three minutes, and never looked back. 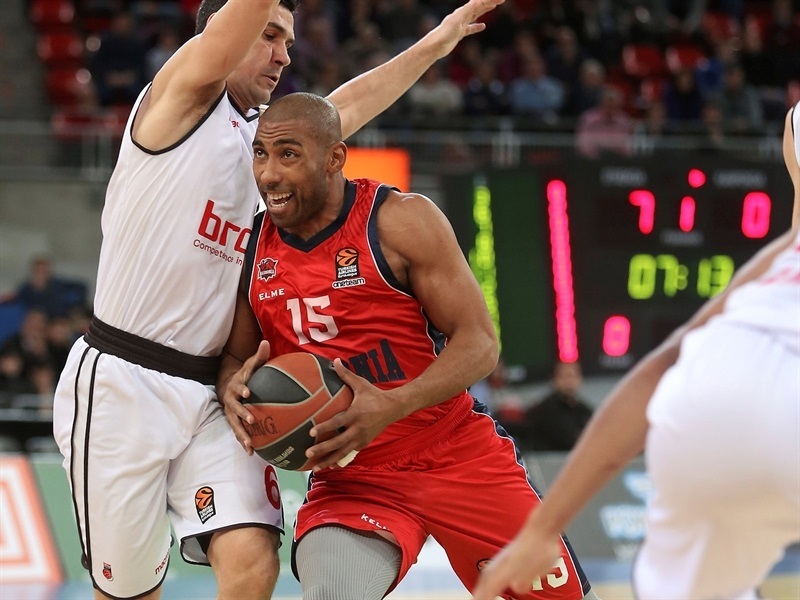 Jayson Granger led six Baskonia scorers in double figures with 17 points and 7 assists in 17 minutes. Ilimane Diope scored 16, Janis Timma netted 13, Rodrigue Beaubois had 12, Tornike Shegelia 11 and Vincent Poirier 10. 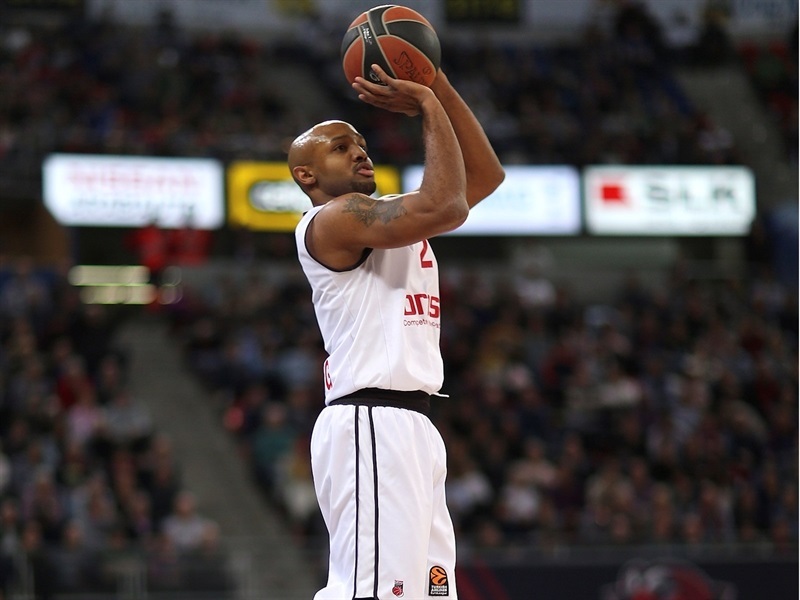 For Brose, Nikos Zisis scored 17 points, Ricky Hickman had 14 and Leon Radosevic scored 10 in the losing effort. 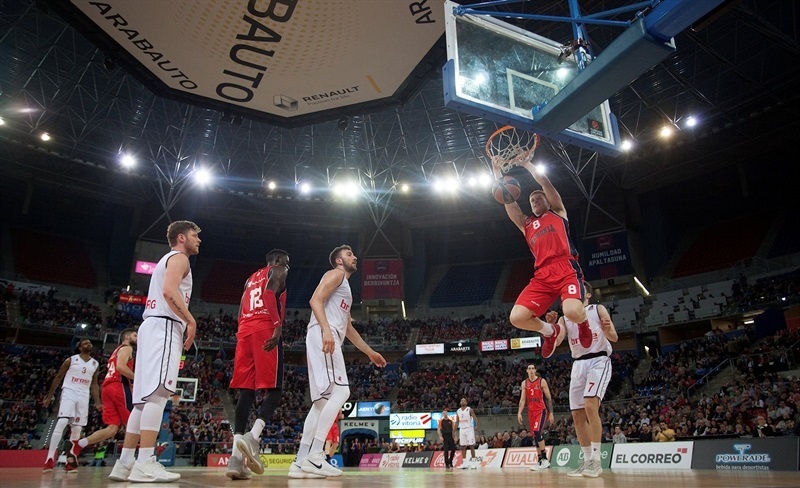 Baskonia stormed out of the gate; Granger hit a triple after only 8 seconds and after baskets from Poirier and Timma, Granger made it 10-0 with a basket-plus-foul. Zisis hit a jumper to open Brose’s account, but back-to-back threes from Granger and Timma helped make it 18-4. Zisis knocked down a three for the visitors, but Matt Janning bettered it with a triple-plus-foul to extend the margin to 22-7. 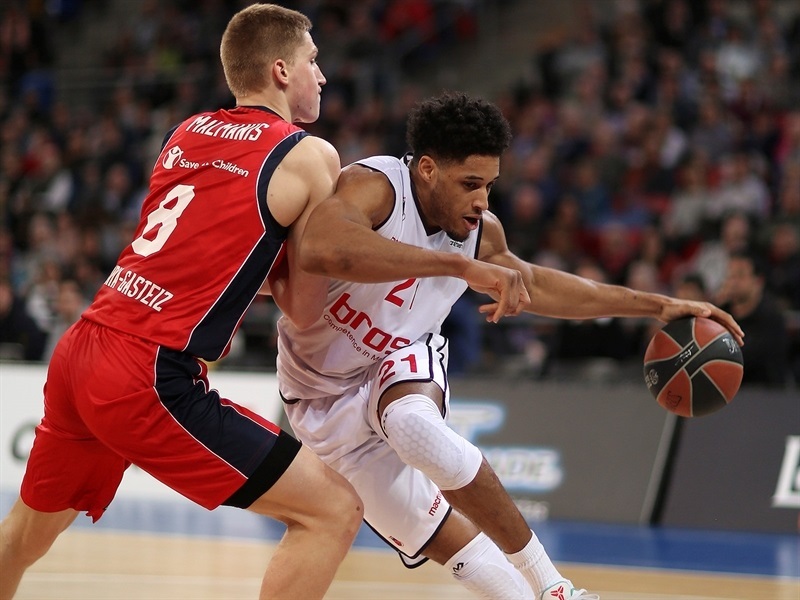 Brose managed to cut the deficit just a bit late in the first quarter, with Aleksej Nikolic hitting from the outside, and Augustine Rubit from the inside, but Diop’s dunk at the end of the first, and Shengelia’s triple to open the second quarter extended Baskonia’s advantage to 30-14. 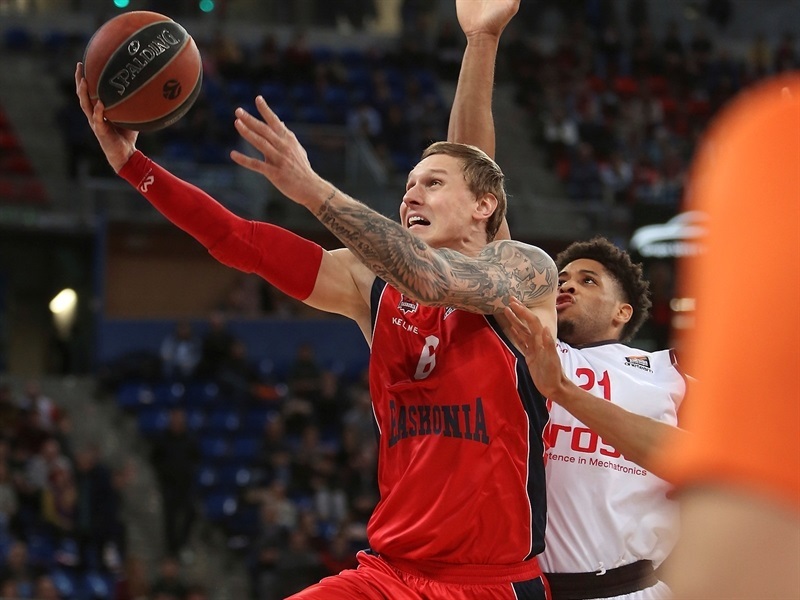 Radosevic and Luka Mitrovic each scored twice from close range for the visitors, including the latter’s three-point play that cut it to 32-22, but Shengelia had a triple and Poirier a dunk that restored a 16-point lead. Patricio Garino’s three-point play made it 41-24, but Hickman and Zisis each hit a three-pointer on the other side. Brose played along with up-tempo basketball and after Diop scored a basket-plus foul for the hosts, Hickman hit another three-pointer on the other end. 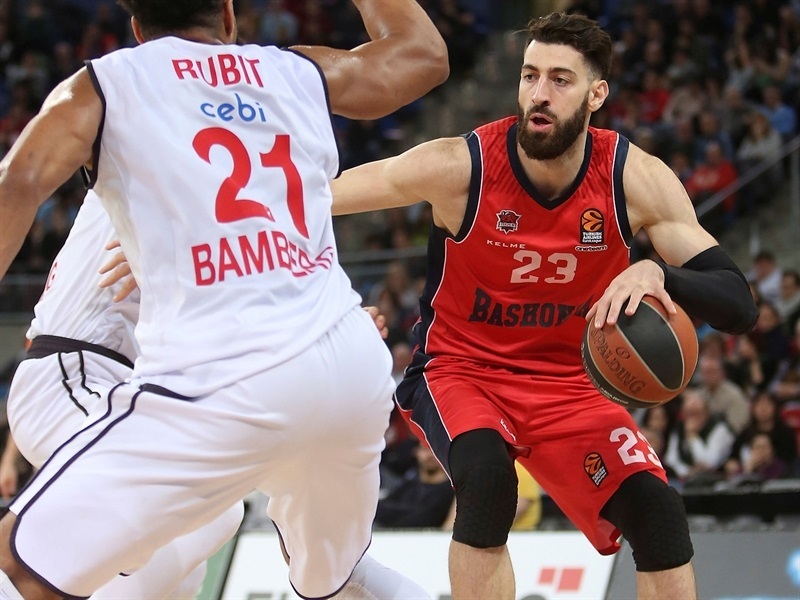 Dorell Wright had a pair of tough runners for the visitors with Luca Vildoza sinking Baskonia’s eighth triple in between, making it 50-39 at halftime. 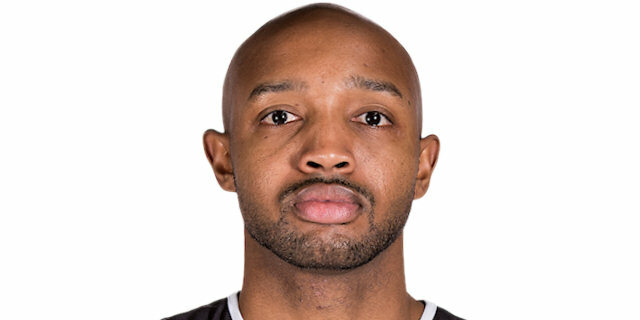 Granger needed less than two minutes to score 8 points in the third quarter, including a three-point play and a three-pointer, before he dished for a triple from Beaubois, which opened 61-43 margin. 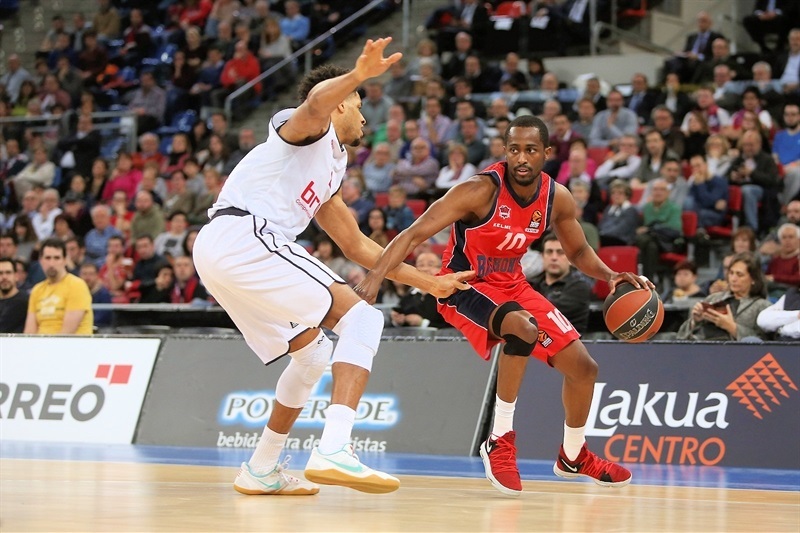 Radosevic scored twice for Brose, but another three from Beaubois made it 66-46 midway through the third as Baskonia assumed full control. The pace slowed down for a moment, with both teams going to the free throw line often, before Vildoza’s triple and Timma’s fastbreak layup opened a 75-50 margin. The hosts did not stop there, as Beaubois hit a jumper and Shengelia had a three-point play to make it 80-52 after 30 minutes. 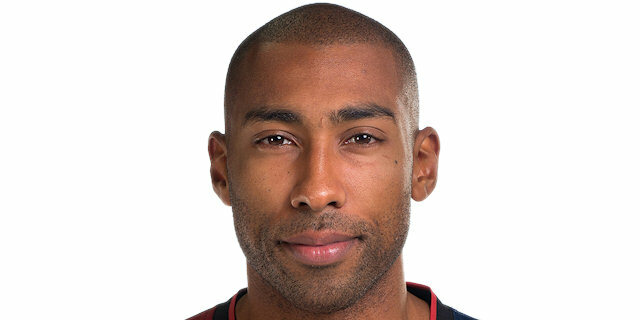 Diop scored twice at the start of the fourth to make it 86-53. With the game out of hand, Zisis, Hickman and Lucca Stiager each hit a three-pointer for the visitors, but it was too little, too late for any sort of a comeback.
" It is always important to win, but especially as the regular season nears the end. We are not in a great position, but also not in as bad of a position as we were few weeks ago. Let’s see what will happen in last three games we have to play. The goals, is first of all, to be in last eight. The game against Maccabi will be very important for both teams, but we have to be focused on the next game against Barcelona, and try to win that game. Not to be focused on other games, but only on the game against Barcelona… We dominated the game right from the start, although in the second quarter we were more indecisive, especially on defense, letting Bamberg score quite easily. However, in the third quarter we came out strong again, started well, and we were able to win the game which was our obligation today. We are on a good run, and the team played well today." 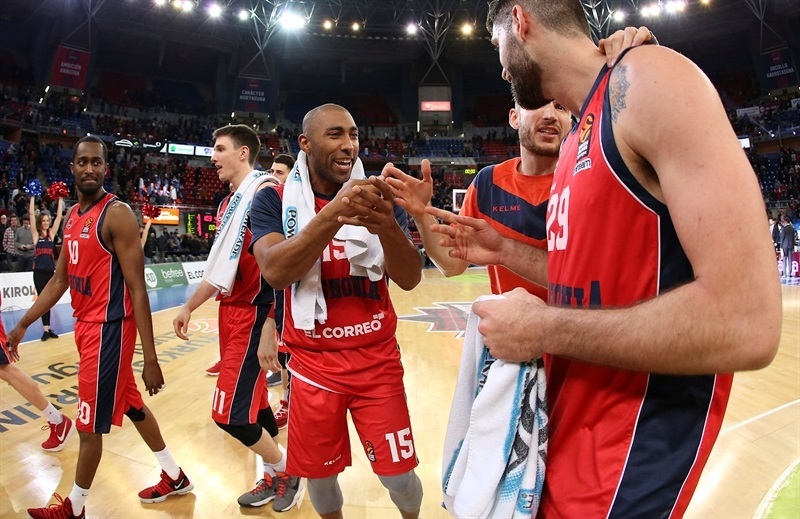 "I have to congratulate Baskonia because of the win. But we have to see a wider picture than just this one game. This is a period when they are playing great basketball, and tonight they proved what is the level of their confidence, how they share the ball, how they play offensively, with the level of aggressiveness they have. It was very interesting to prepare this game and to see the level of our mentality and consistency to play a game like this. Of course, it is very important you are able to compete no matter the difficulties. We don’t have chances to get to the playoffs, but that’s not an excuse to give up or to play with no energy or no aggressiveness, or without the right attitude. 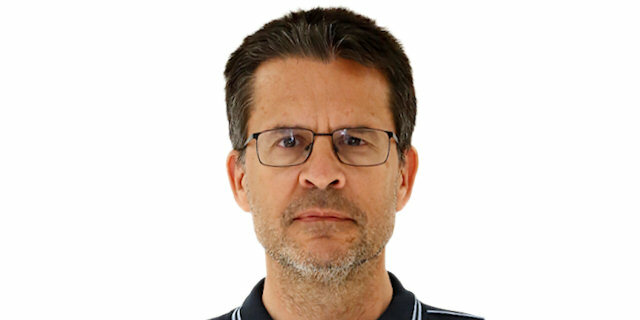 We are a team that changed a coach a few weeks ago, a team that struggles in a domestic league, and a team that needs wins and to build a wining mentality, which is the tradition of a team like Brose Bamberg. So, nights like this are important to build the character of the team, and for me who arrived late in the season, this is a time to understand better how to handle the personnel and how they help the team achieve the goal that we have set." "Basically, the most important is we have a win. I personally I think I had a good game, but as a team we played really, really solid from the beginning, and that is most important. We have to go game by game. We have an important game on Friday, then we have to finish the regular season with two home games. That is going to be the key." "In the first three minutes they just showed that they wanted the game more than us. They came out more aggressive and we did not respond well. 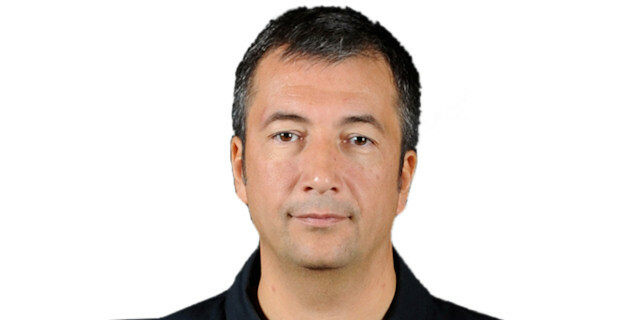 With the schedule, we don’t have time to really cry, so we must to get ready for the game against Unicaja on Friday."